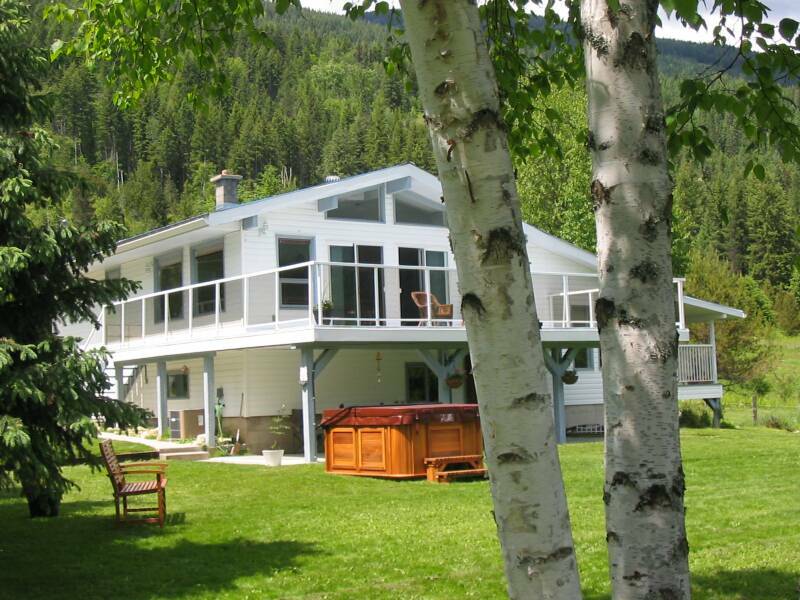 Spend a night or a week in our beautiful Slocan Valley in the heart of beautiful British Columbia. Enjoy the countless activities or simply take in the breathtaking scenery of the West Kootenays. We specialize in offering the cycling enthusiast a truly unique opportunity to experience all aspects of the surrounding area. The 50 km Slocan Valley Rail Trail and many mountain trails make for a great cycling vacation. Hiking, swimming, kayaking, tubing, canoeing and golfing are all within 10 minutes. For awesome hiking choose from the Valhallas, Kokanee Glacier or the White Grizzly Wilderness Provincial Parks.